Are you a candidate looking for jobs in the government sector? Here is an opportunity opened by ATEPFO! 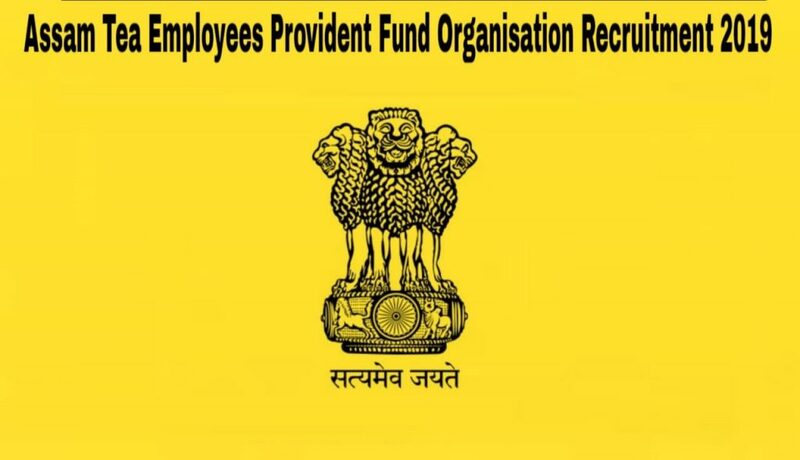 The Assam Tea Employees Provident Fund Organization Recruitment 2019 is open for filling the vacancies of 33 posts in Junior Assistant and Assistant Fund Control Officer. The application process is completely offline and the candidate may apply for the posting separately on or before 30th April 2019. For applying, open the official website and download the job application form. Fill the application will appropriate details and attach the required documents and send them to the mentioned address. Make sure the documents reach there before the last date because the documents reach beyond the last day will not be considered valid. Step 1: The candidates interested to apply for the ATEPFO Recruitment 2019 may visit the official website and notification completely. Step 3: Look for the documents to be attached and attach all of them and send them to the mentioned address through speed post and make sure they get delivered before 30th April 21019, since the applications that appear after the last date will not be validated.